It was nearly 5.00pm that my boss called me to his room. At that moment I knew that I won't be getting home early since he usually would have so much to talk about and that's also the reason I believe not only me, but everyone hates being called at the end of office hour. But do we have a choice? No, unless you don't care about getting a bad reputation from your boss. So I went to my boss's room with the expectation that we're gonna talk about work. But to my surprise, it was just a discussion or more to him expressing his thought and concern about the company as a whole, especially on the staff's attitude. Not siding with him, because as typical as a boss he is, sometimes he annoyed me too but this heart-to-heart session made me realize that he's human too, and all bosses are human too. Last a few days, we were surprised by the news of the death of a popular comedy actor, Zaibo. Actually, I was shocked to see a photo of Tunku Tun Aminah visited him a few days before his death because he looked so different from my memories of him on the tv, I thought celebrities won't be aging. Then there are also celebrities who media won't stop finding out about their personal life when they clearly stated that they won't reveal their personal life to the public. For example, people were enraged about Fatah Amin and Fazura secret wedding. Like c'mon, they need their own space, they're human too. Our soccer team had their ups and downs in winning the game for the country. We would celebrate our winning gloriously with the bunch of kind wishes for the team. But we bashed them crazily when we lose the game. I can't remember what game was it but we lost to Thailand in the final because of a mistake by player Dominic Tan which caused a penalty opportunity given to the opposite team. People bashed him on twitter and his personal Instagram like they didn't care how good he played despite that one mistake. Why we couldn't just say like "it's okay, play better next time," because people make mistakes and he's human too, all of our athletes are human too. When I read a post by Eyqa here(click), I believe all of us has encountered the same situation where sometimes we wanted to donate but other times, not donating. It's okay, honestly. Because we're human too, we should donate how much we can afford and don't make the guilt of not donating eating us up. Anyway, some of the comments stated that sometimes they're afraid of donating because there's a lot of scheme out there and these homeless people are actually lying. But that stereotype could bring so much damage to the real homeless people. They don't deserve such treatment, they're human too. Be it a boss, an athlete, a celebrity, homeless people, a parent, a sister, a brother, a policeman, a teacher, a cleaner, and the list go on, we are all human who has a heart that could feel feelings. Let's stop judging people, stop bashing and spread positive vibes only towards each other, okay? Exactly, and that's sad. Before bashing, we should try to put ourselves in that person's shoe first. I just read Eyqa's post. I feel like crying seeing my blogger friends writes such heartfelt post on such a great topic. I always tries to think like this. 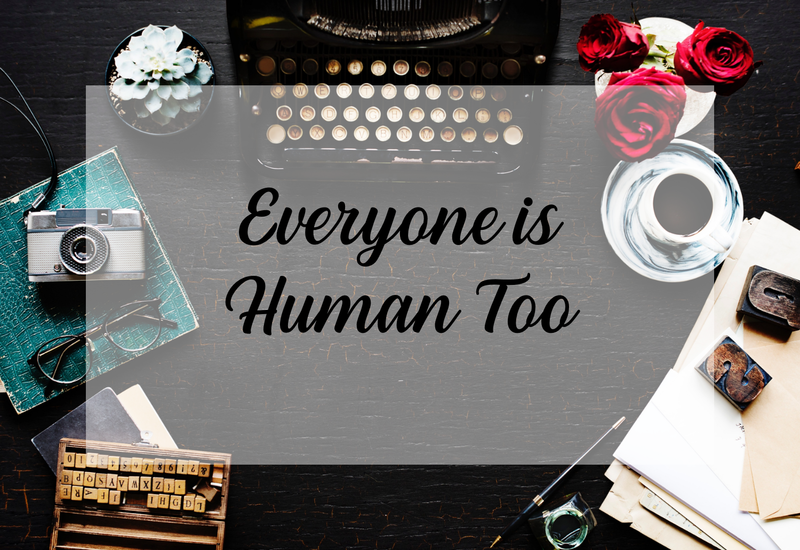 Everyone is human and there is only so much a human can tolerate. Maybe it is impossible to change the whole society but this post is a start. omg, I HAVEN'T BLOGWALKING FOR THE LONGEST TIME. Yeah, been missing you in the blogosphere. Welcome back! Ikr. We should put ourselves in the other person's shoes first before saying something that could hurt their feelings! They're people who are enraged because celebrities do not want to reveal their own wedding? That entitlement makes no sense. Sadly, yeap there're such people! Hi I'm Lya Amie, the writer of La Scrittura Street. I talk random stuff and I want to share the randomness with you, thus the existence of this blog. You are free to copy/modify/distribute the contents in this blog (with no profit gain) for whatever purpose you want (except for violence or sexual use) but please let me know first and link back to this blog. Thank you for dropping by, for reading my passion.